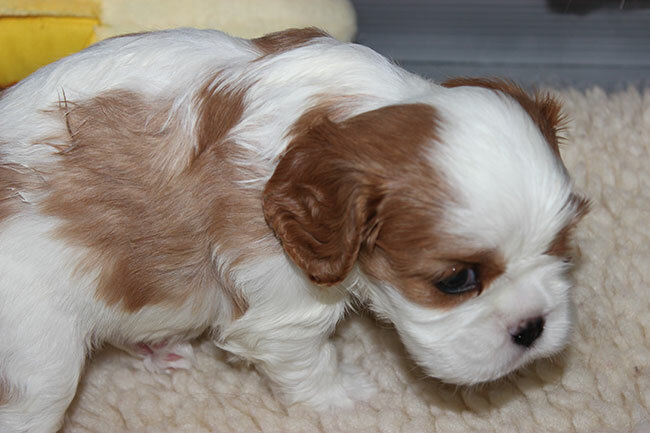 How to Choose a Breeder of Your New Cavalier Puppy! My dogs all live in my home as part of the family and are never crated. This is important for good socialization of a puppy! When you come for a visit to my home, you will notice I have adult dogs and youngsters who are all very happy, healthy, and beautifully groomed and conditioned. You will find none of my dogs are shy or aggressive and will eagerly greet you with a wagging tail! All of my dogs are obedience trained and many have been Canine Good Citizen Certified. All my puppies come from champion lines with excellent health and longevity. They go with me everywhere and love people as well as other animals… big or small. If you are interested in a puppy, I will welcome you into my home to meet and play with all my dogs, to see & interact with the sire and dam, and to observe how my puppies are raised, as well as to observe their environment. I carefully screen families for the right puppy and my puppies do not leave for a new home before 12 weeks of age. As a veterinarian, I know the entire health of my dogs and puppies and will go over all information with you and provide documentation of all testing, vaccinations given, and dewormings. All my puppies will have a complete physical examination, be current on the recommended core vaccines and checked for intestinal parasites and dewormed before going to a new home. They will be checked by a Board Certified ophthalmologist for retinal dysplasia, DNA tested for dry eye curly coat and episodic falling, and hearts and patellas will be certified normal. 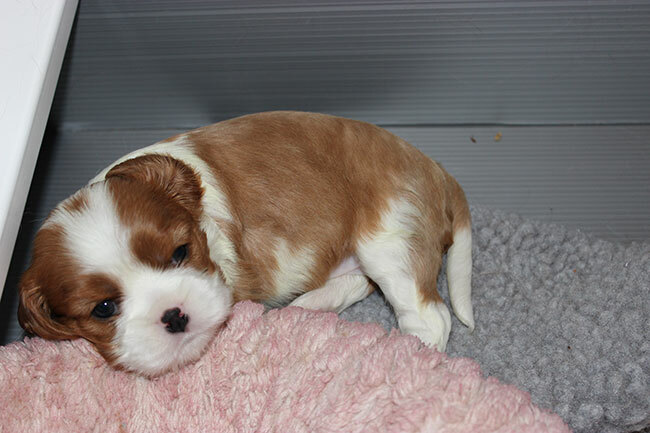 I will thoroughly go over with new owners the health problems in the Cavalier King Charles Spaniel as a breed and what to watch for. I am an obedience trainer & veterinarian with over 30 years of experience and a behavioral consultant in private practice as well as an exhibitor in conformation. I will be happy to help you with any health problems or concerns & guide you in the feeding, training and care of your new puppy. I want a long term relationship with buyers of my puppies. 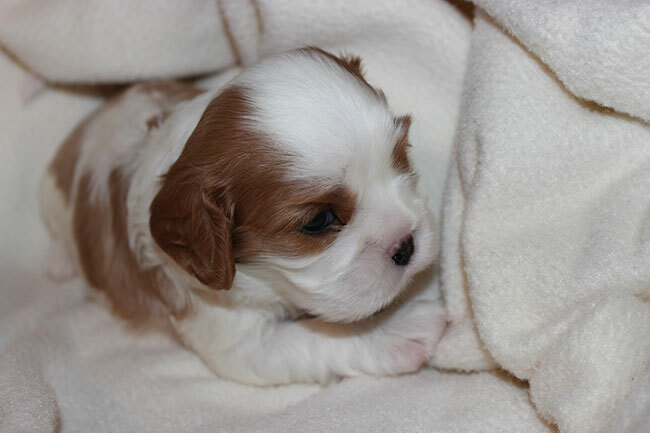 I am an active member of regional and national Cavalier Clubs and my puppies are dual registered in the American Kennel Club and the Cavalier King Charles Spaniel Club USA. I provide a written contract and health guarantee for all new puppies and will take a puppy back for any reason if the owner has any concerns. I look forward to meeting you. Please email me at wyndancercavaliers@yahoo.com for a time to set up an appointment.